This vibrant rags-to-riches tale from Disney tells the true story of 10-year-old Ugandan girl Phiona Mutesi. Living in Katwe, a Kampala slum, Phiona (Nalwanga) and her mother barely manage to keep their heads above water. 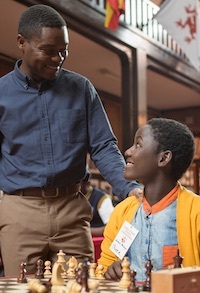 However, missionary worker Robert Katende (Oyelowo) opens the door to hope of a better future by introducing her to the game of chess. Phiona is captivated, soon becoming a top player and glimpsing a life beyond poverty. 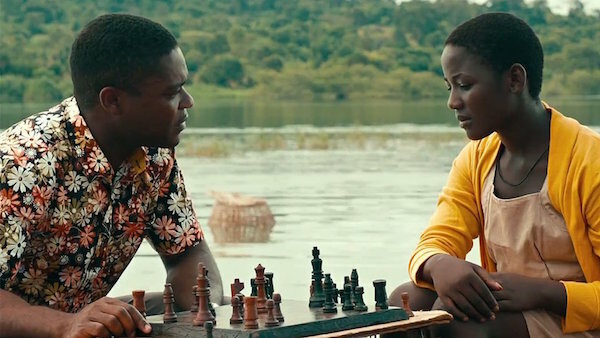 Queen of Katwe boasts a talented cast and offers a rich, nuanced portrait of Ugandan culture.